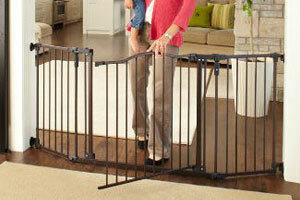 The Cardinal Gates Outdoor Child Safety Gate is a beloved model. When the weather allows it, getting some outside playtime for kids during the day is a must. It’s a great way for children to have fun and burn off some energy out of the house. Outdoor baby gates and play yards are one of the most effective tools for setting your child’s limits in the yard and keeping them safe. 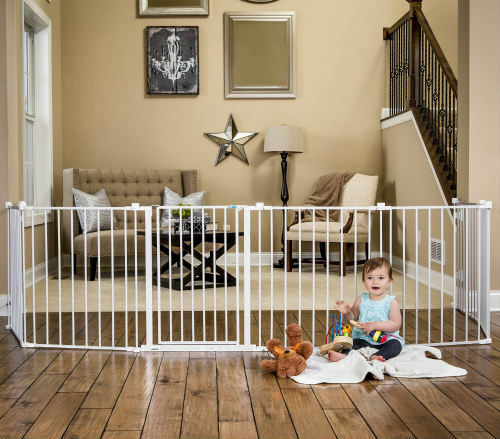 Play yards, baby gates, stair barriers, and deck netting are all great resources for ensuring your baby can play freely out of harm’s way. 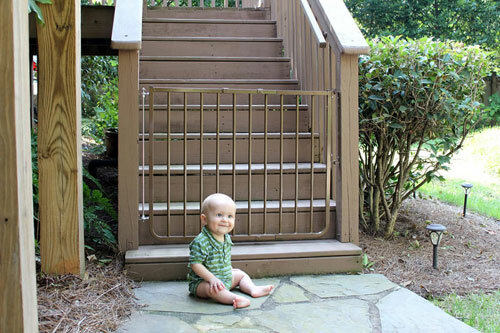 Below we’ve put together a list of various outdoor safety barriers that you may find useful for structuring your baby’s playtime in your yard. We hope you find the right resources for your home! 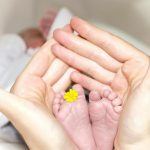 Hopefully the comparison chart above is useful in getting a quick sense of the variety of outdoor baby gates available at various price ranges. 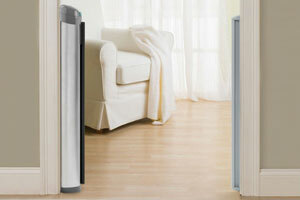 Below we’ll highlight a few of the most popular options and go into more detail about their features. 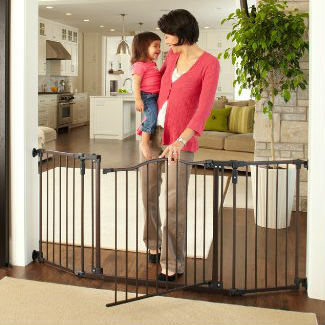 The Cardinal Gates Outdoor Child Safety Gate is designed for patios or decks, and is built to withstand the elements. 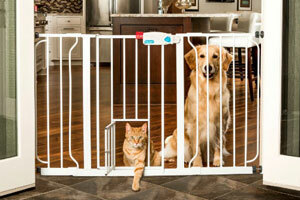 Its frame of all stainless steel and light weight aluminum plus a powder-coated finish makes it weatherproof. 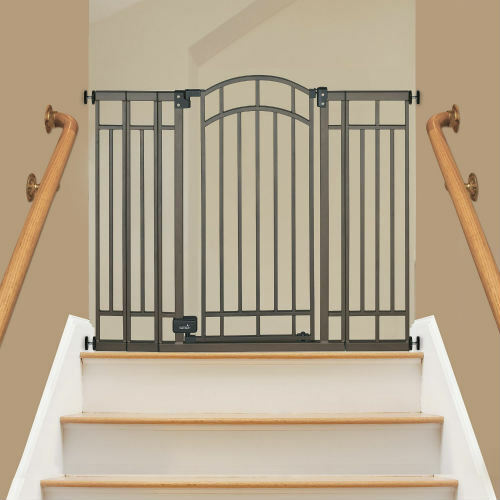 This gate has an adjustable width ranging from 27 inches to 42.5 inches, making it flexible to span an array of openings as needed. A height of 29.5 inches makes in a formidable obstacle for tots to climb over, and a 2.5 inch vertical bar spacing makes it impossible for tots to slip through. 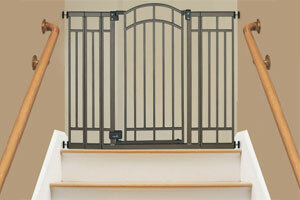 Another bonus in this gate is that it may be used at the top or bottom of stairs. Cardinal Gates also offers two different sized extensions, one that is 10.5 inches wide and one that is 21.5 inches wide. 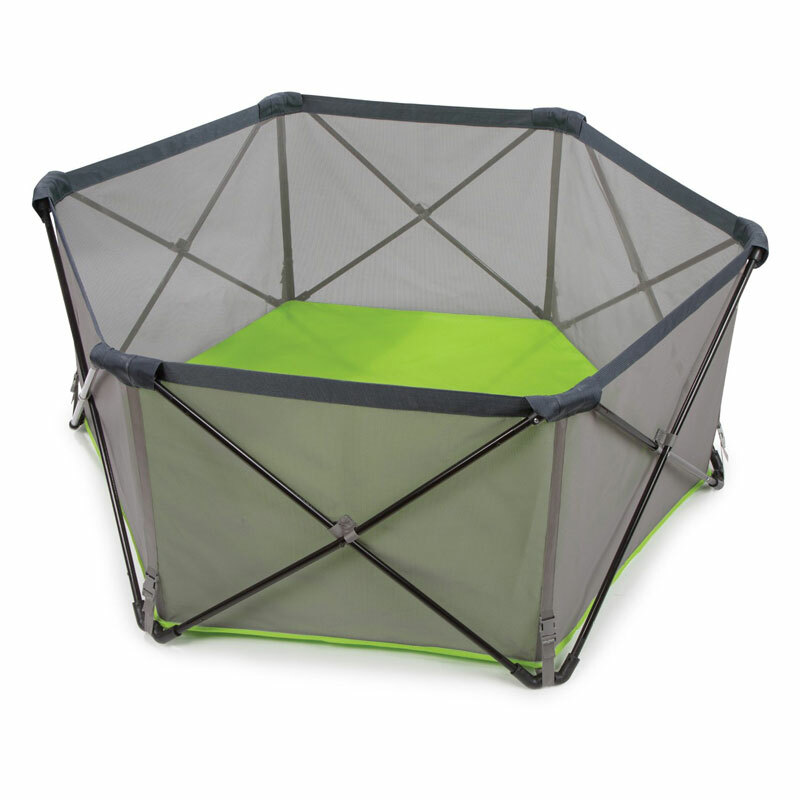 The Summer Infant Pop N’ Play Portable Playard is an extremely convenient indoor/outdoor play pen. 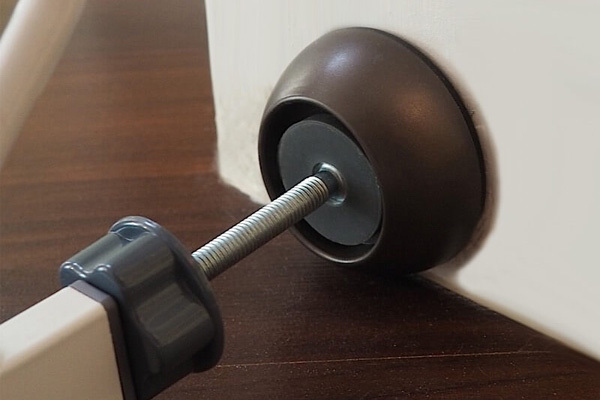 It is designed to be portable and can be set up or broken down in mere seconds. 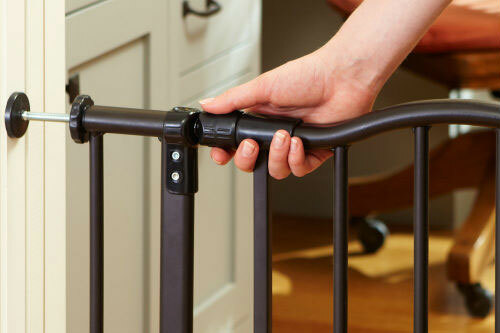 The play yard’s lightweight, folding metal frame weighs only 12 pounds. It compacts to around the size of a typical folding sports chair, and fits into a handy travel bag. Transporting this play pen is a snap. 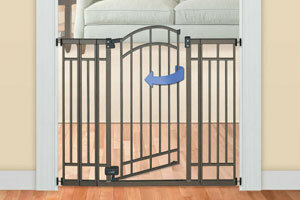 The metal frame is covered by mesh siding so you have easy visibility of your child. The floor is made of a weather resistant canvas. When in use, the play yard provides 14 square feet of room for your baby and measures 48 inches wide. The walls of the play yard stand at 26 inches tall. 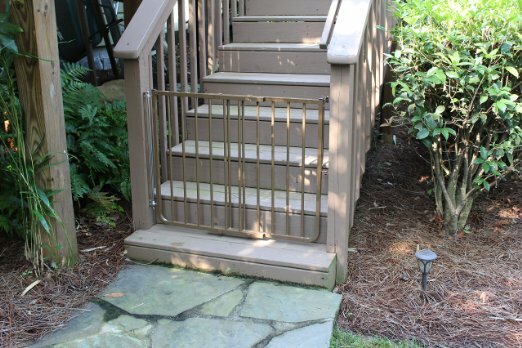 Many decks and porches have gaps between railings that curious little ones could wriggle through. Including Deck Shield Netting around your rails prevents this possibility. 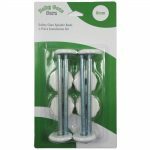 This plastic deck netting can be affixed to your deck’s posts to effectively seal off dangerous gaps. 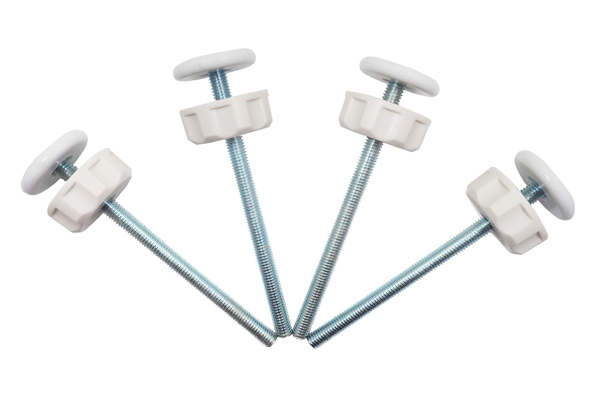 Rolls measure 50 feet in length and 36 inches in height, and come with ties for attaching the netting to posts.